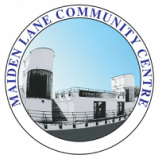 Maiden Lane S106 is Council funding to provide activities and events that meet the needs of Maiden Lane Estate tenants and residents. What new activities would you like to happen on Maiden Lane Estate during 2019/21? Here is some suggestions made by residents. We would like you to give us your contact details so we can get in touch with you when activities and events are happening that you may be interested in, or if you want to volunteer. THANK YOU FOR TAKING TIME TO FILL IN THIS QUESTIONNAIRE!